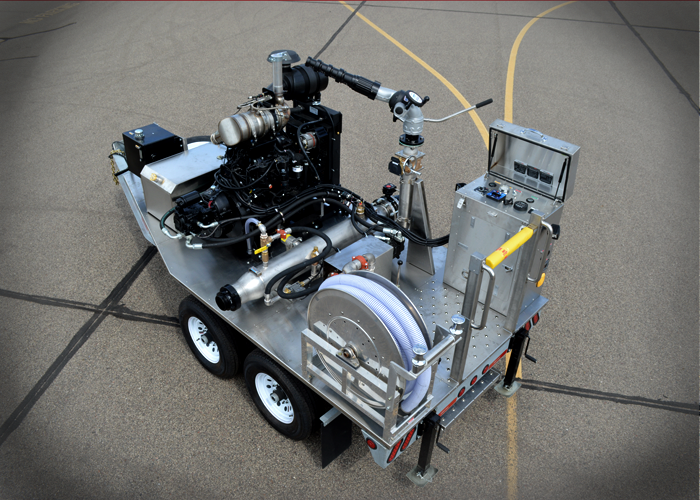 RatioResponse is a completely self-contained transportable, engine powered, hydraulically-driven, electronically-controlled Foam Delivery Apparatus, its designed purpose; to accurately proportion and directly inject foam concentrate into one or more flow-through Waterway(s) plus optional Discharge Appliance(s). 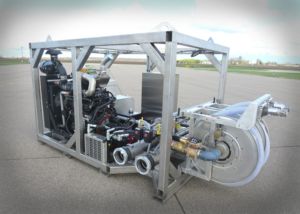 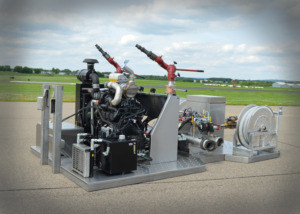 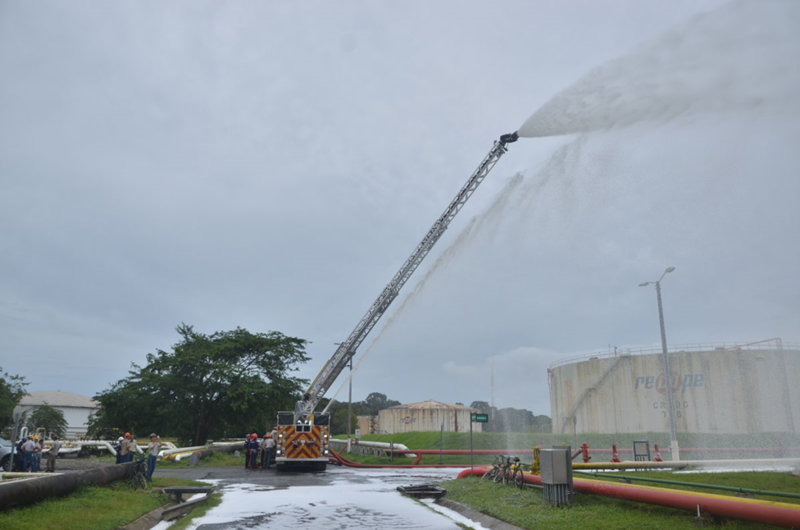 Powered by a Tier-4 diesel engine, RatioResponse incorporates a “flow-based” foam concentrate proportioning system, with a positive displacement rotary-gear foam pump; available in 40, 60, 90., 150, or 300 gallons per minute capacities, and pressures exceeding what is needed for direct-injection into a supplied water stream. 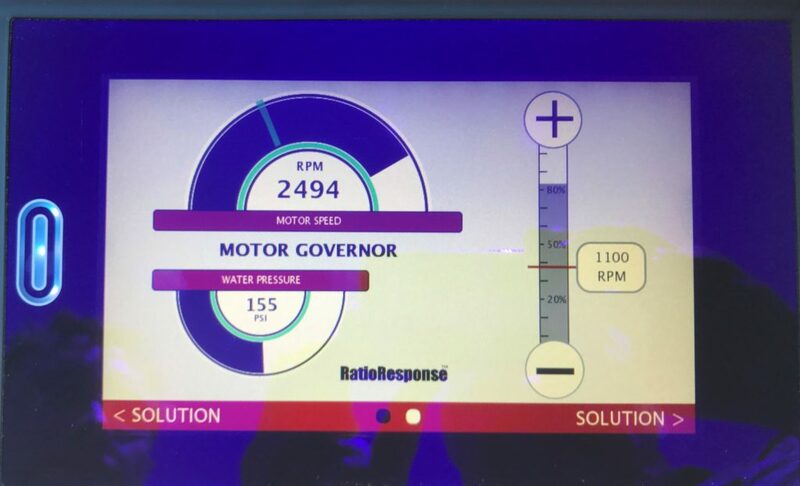 Operator selectable proportioning ratios of 0.1% to 10% are possible, in 0.1% increments, producing accuracies of -0.0% to +5%. 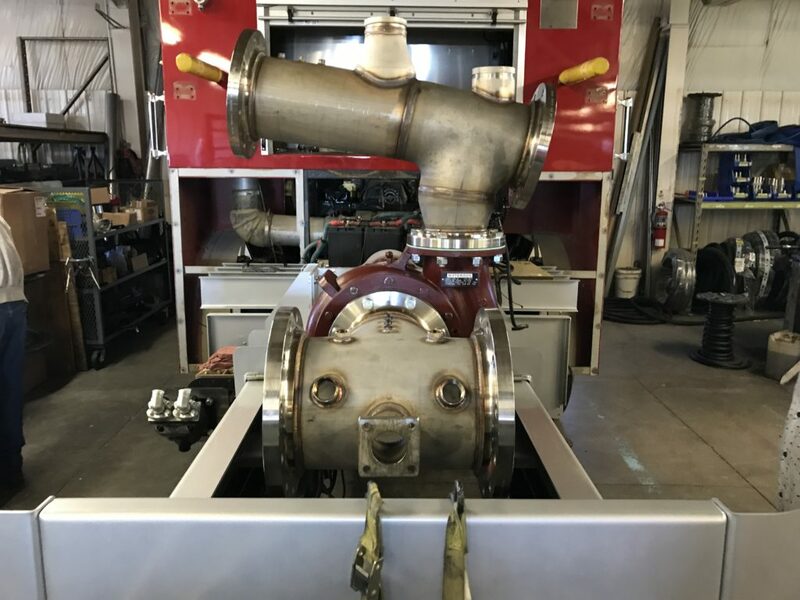 Flow-based technology also allows for low and variable flow-through waterway pressures; therefore, the supplied water pressure need only be enough to feed the downstream foam/water-fed devices, be it a Boost Pump, Distribution Manifold, Standpipes, Fixed Monitors, Foam Chambers, or Fire Apparatus. 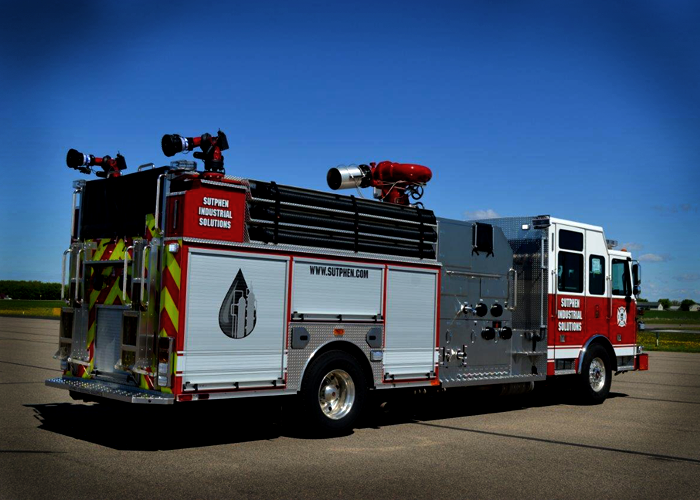 Available in Single-Waterway or Multiple-Waterway Injection, Waterway Manifolds are sized: 8”, 10”, or 12”, allowing for water flows ranging from 2000-GPM to 6000-GPM per individual Waterway. 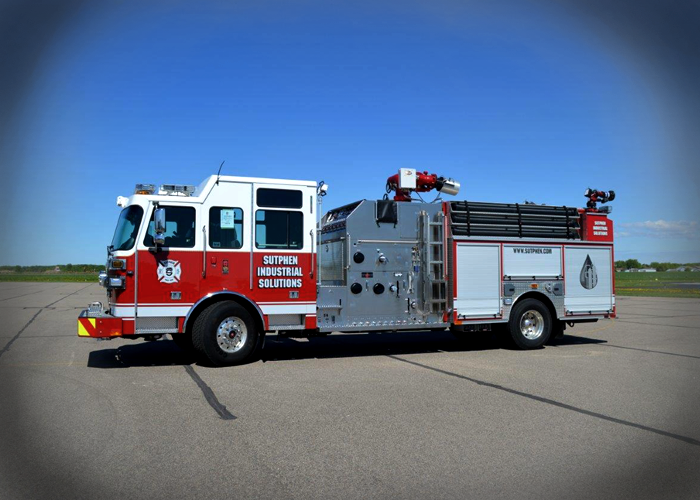 For example; a Multiple-Injection RatioResponse delivery system, with two (2) 12” Waterways, easily handles a supplied water flow of 10,000-GPM; furthermore, when configured with a 300-GPM Foam Pump, permits a 3% concentrate-to-water injection ratio. 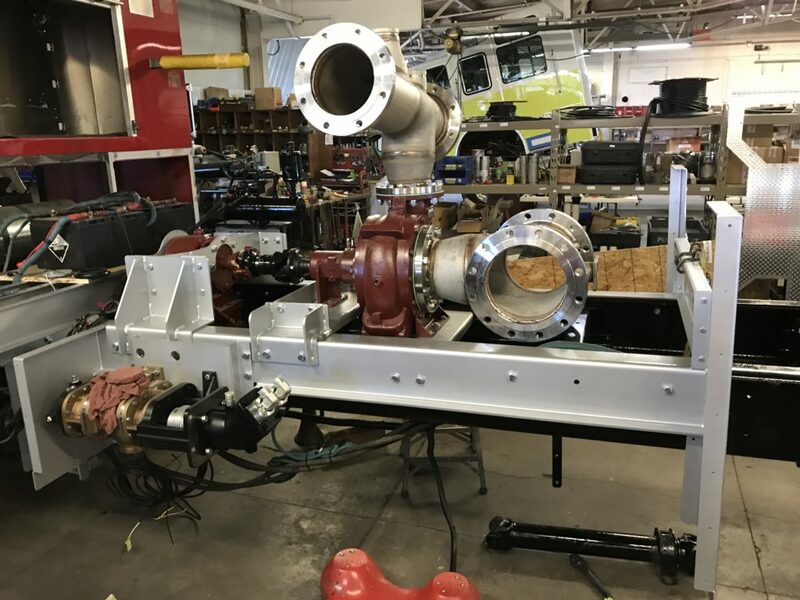 To accommodate large diameter water supply lines and water/foam discharge lines, the flow-through waterway Inlets and Outlets are available ASA or JIS Flanged, Victaulic, NST, or a combination of any two (2) line compatible fittings. 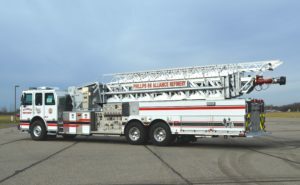 Optionally added Deluge Riser(s) enhance field operations, and provide for RatioResponse exposure fire extinguishing capabilities. 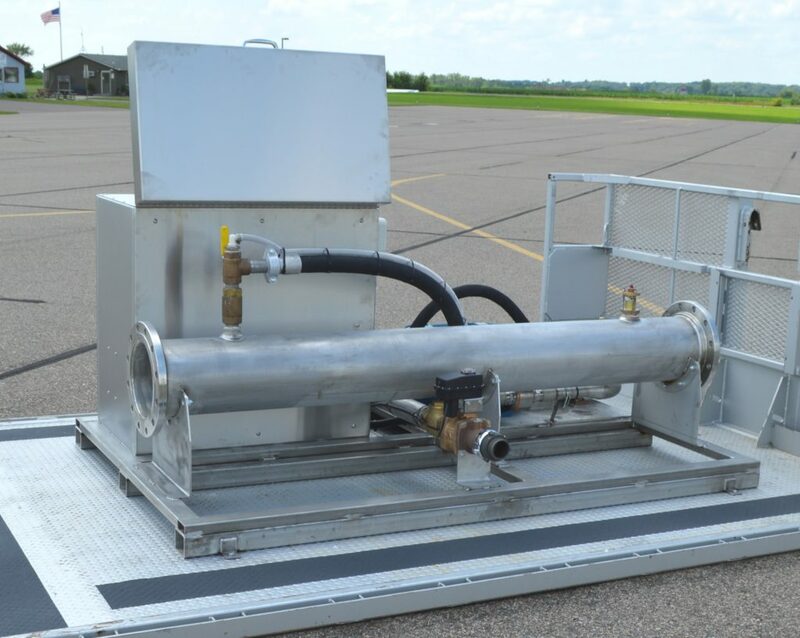 Gated Deluge Riser(s) can be sized to supply Monitors of up to 4000-GPM flow capacity. 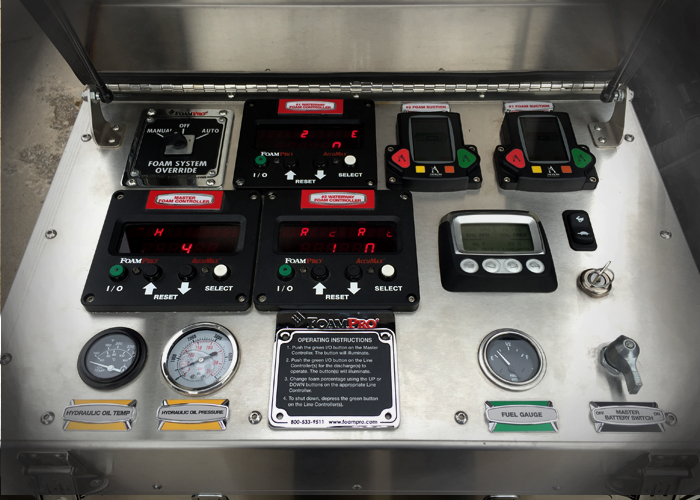 Digital Display Control Module (Single-Injection) and Master Control Module + Line Control Modules (Multi-Injection), located on a weatherproof pedestal style RatioResponse control console, provide: Activation of the Proportioning System, select Increase or Decrease of Concentrate Ratio, and display the Current Flow Rate of Supplied Water. 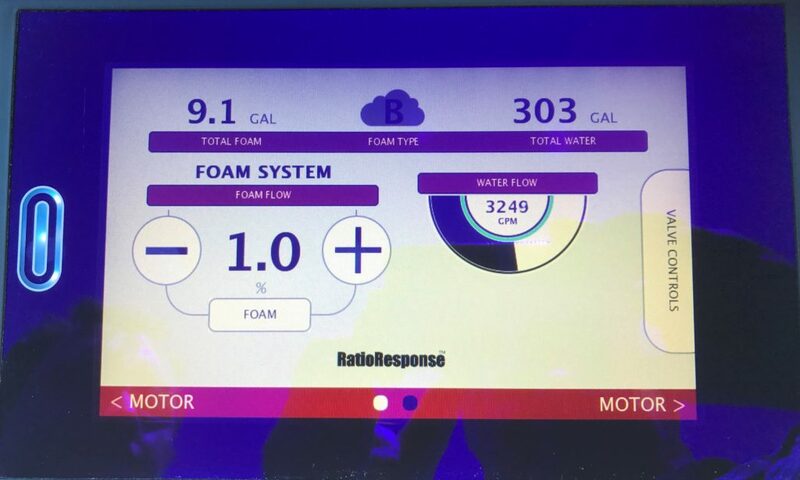 Additionally, the Control Modules provide digital display of the present Ratio of Concentrate-to-Water Flow and the Accumulated usage of the Foam Concentrate. 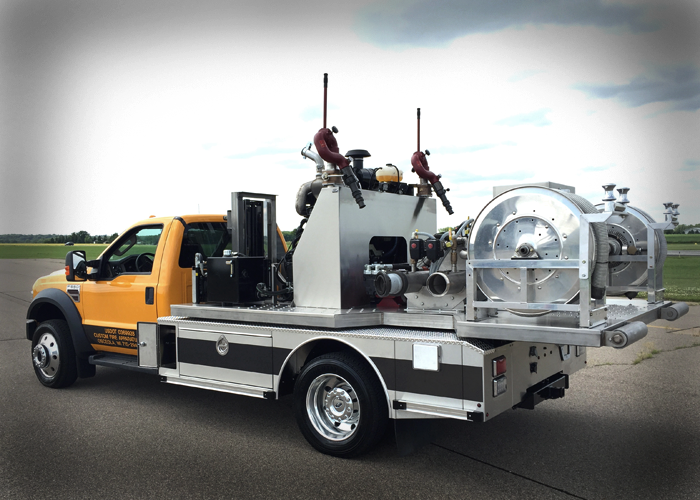 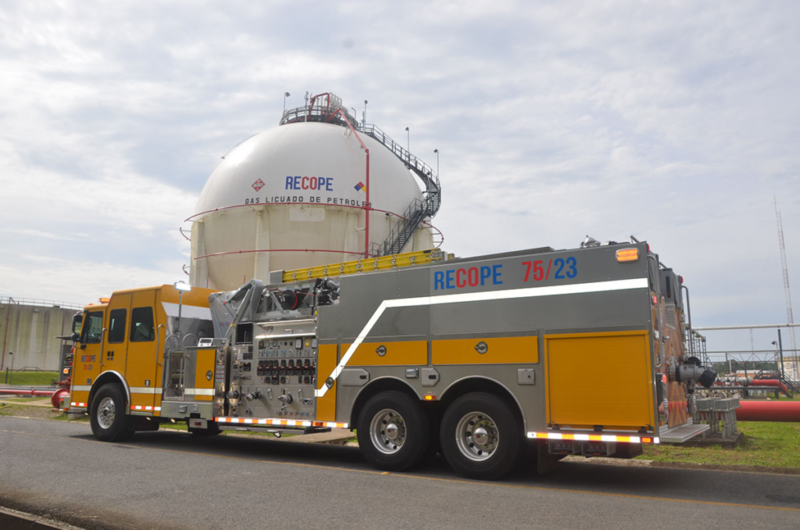 RatioResponse is available in three (3) diverse “transportable” configurations; Encapsulated Skid-Mounted, Trailered Platform-Mounted, and Roll-Off Platform-Mounted. 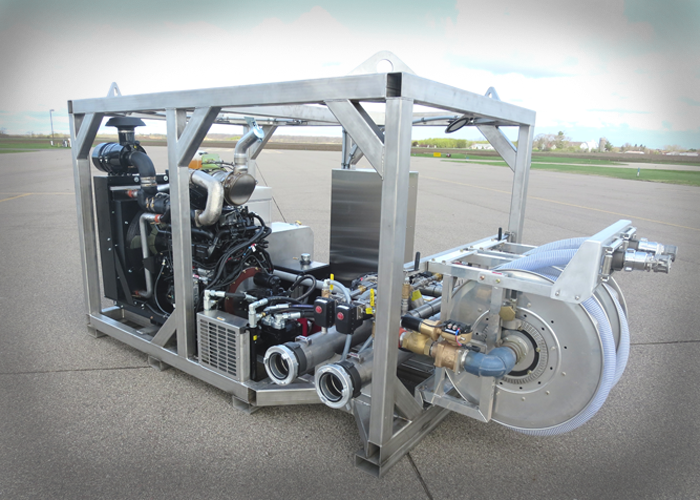 Each configuration is completely self-contained including: power plant, variable displacement hydraulic system, hydraulic motor-driven bronze foam pump with concentrate manifolds, single or multiple flow-through large diameter waterway(s), and “flow-based” direct-injection foam proportioning system with digital controls and instrumentation. Optional Enhancements, available on all transportable models of RatioResponse, include: enclosed cabinetry, engine heat shield, single or dual high-flow Monitors, inlet and outlet Gate Valves and special Fittings, waterway pressure protection Relief Valve(s), Low-Flow for hand line operations (Multiple-Waterway models only), Manual Override, Suction Hose Reel(s), sub-zero freeze protection, and on-board Dry Chemical Vessels. 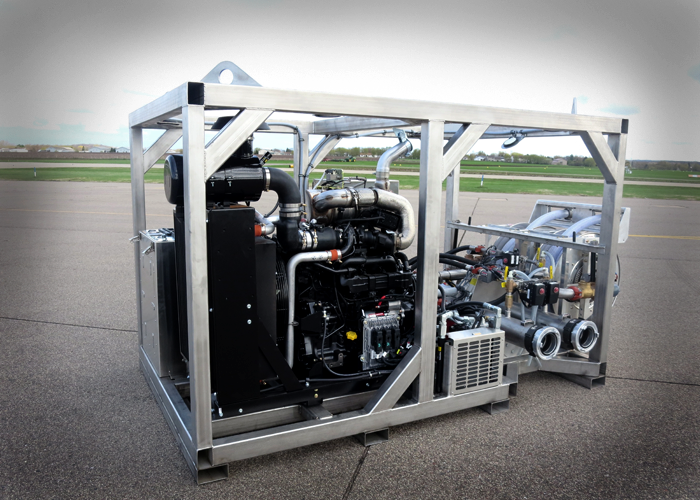 An increasingly popular Transportable Configuration, is the “Encapsulated Skid”. 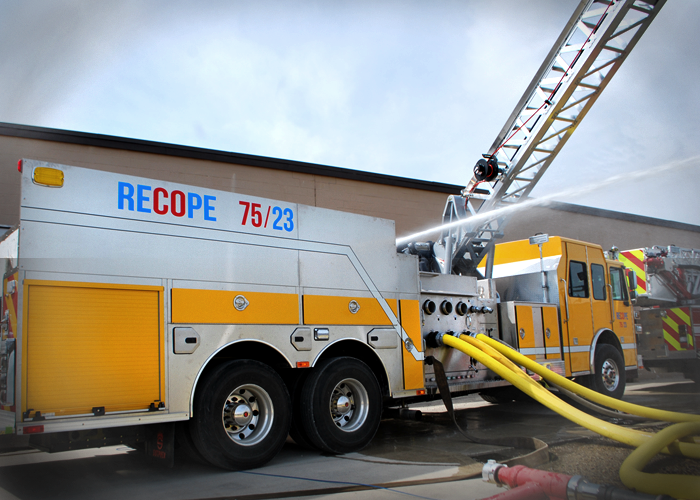 Comprised of a corrosion-free heavy wall stainless steel rectangular tubing space-frame, the Encapsulated Skid fully encompasses all the operational mechanisms of the RatioResponse Foam Delivery System, providing perimeter and overhead protection. 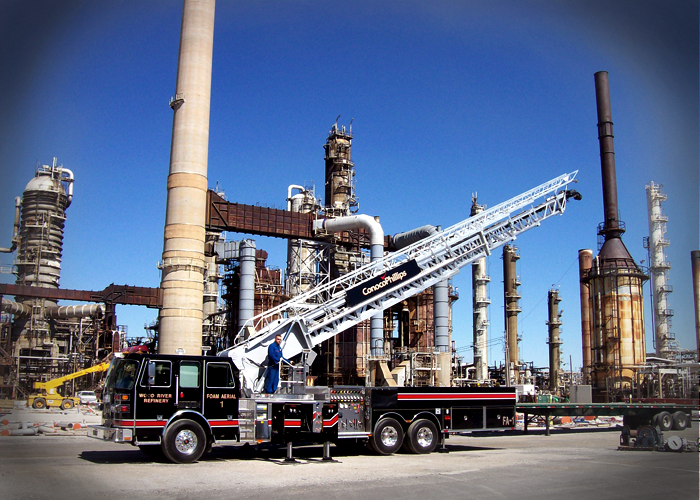 The Engine, Waterways, Control Console, and the Flow-Based Proportioning System components are strategically positioned within the confines of the Encapsulated Skid, providing a balanced “moment”, thus allowing safe overhead-sling handling as well as underside fork lifting. 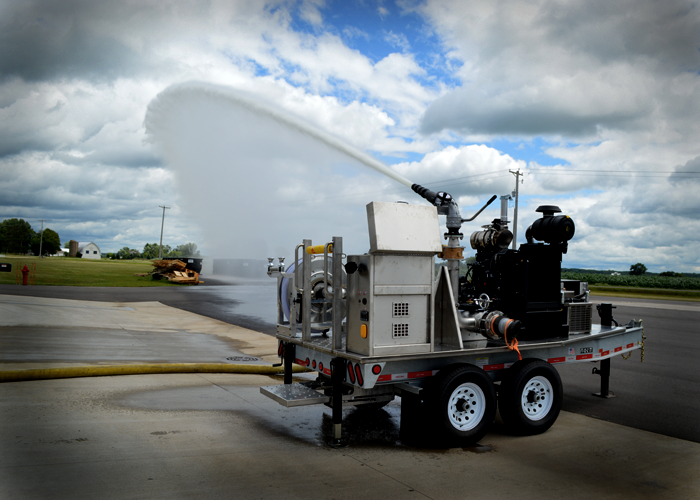 As with all Transportable Configurations, the Encapsulated Skid RatioResponse Foam Delivery Systems are available with Single or Multiple Waterways. 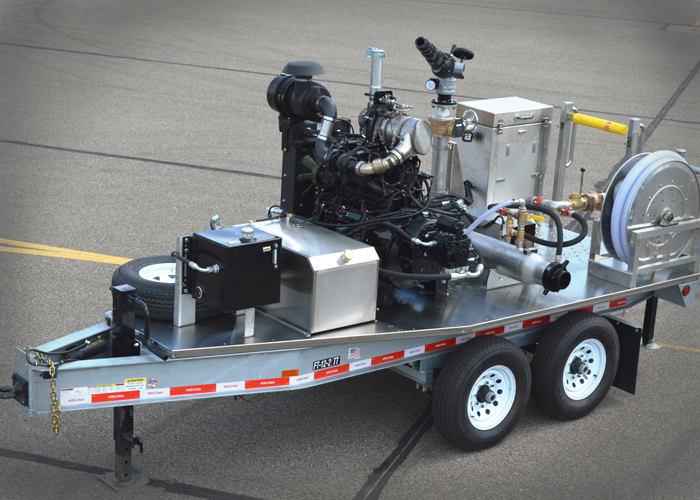 OPTIONAL features specific to the Encapsulated Skid design, include: Suction Hose Trays or Rewind Reels, Scene Lighting, Storage Locker, and for convenient storage and deployment: a tandem tow-behind Transport Trailer, with: hot-dip galvanized structural steel framework, electric brakes, pintle tongue hitch, multiple stabilizer jacks, stainless steel skid frame receptacle brackets, and restraint chains with rotary load binders. 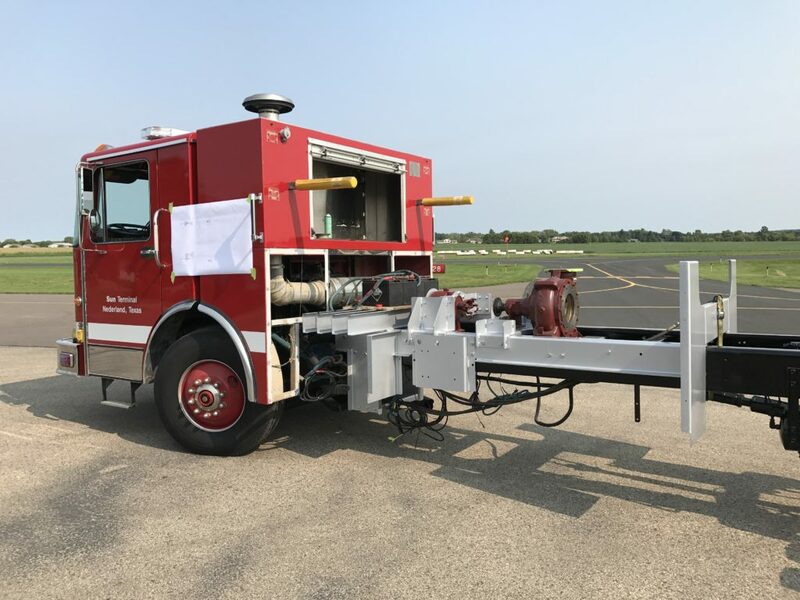 Permanently fastened to a hot-dip galvanized structural steel tandem axle trailer frame, the Trailered Platform consists of a fabricated 12-gauge type 304 “brushed” finish stainless steel Deck Plate, full length of, full width of; and, contour fit to the trailer frame work. 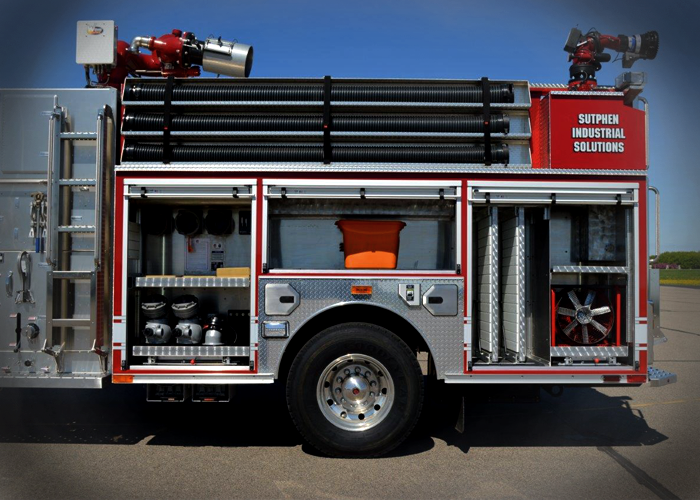 Standing surfaces of the deck plate are provided with an NFPA-certified laser-cut aggressive non-slip puncture-grip pattern. 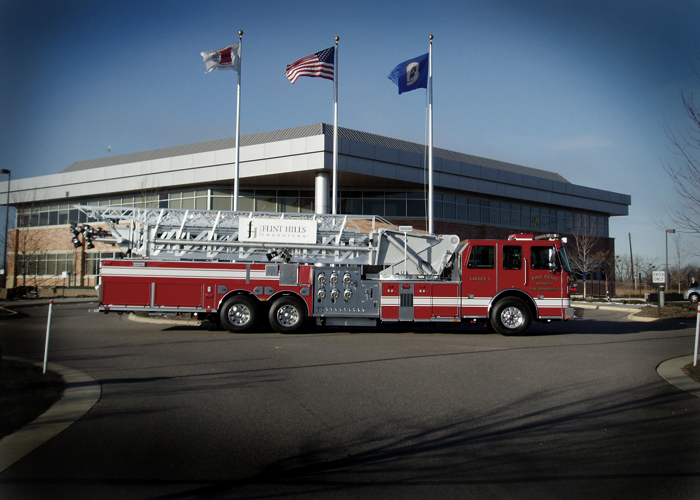 RatioResponse Platform Deck is accessed via an under-deck “retractable” intermediate platform step, with vertical post-mounted knurled stainless steel handrails, and a Mansaver padded drop-down safety bar. 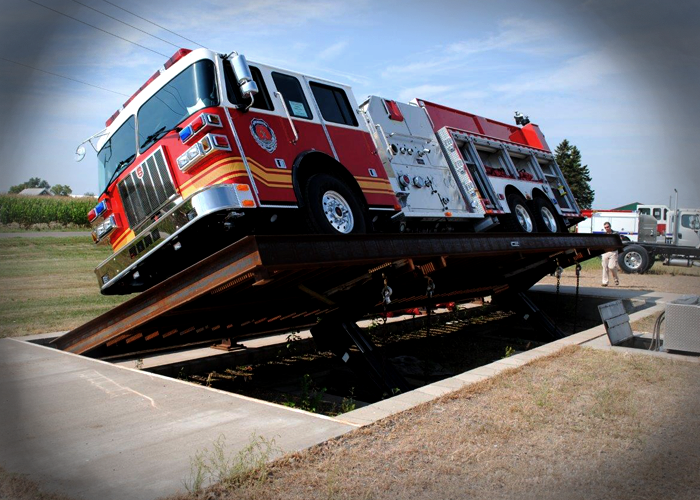 Three (3) crank-down outrigger jacks are provided, for deck leveling and stability independent of the tow vehicle. OPTIONAL features and enhancements include: Suction Hose Reel(s), Gated Deluge Riser(s) with Monitor, Scene Lighting, Storage Locker, and Hose Beds. 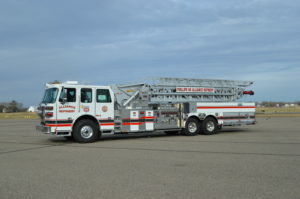 Larger versions of Trailered Platform can be provided with Cradles for Tote storage and transport, or Dry Chemical Skid. 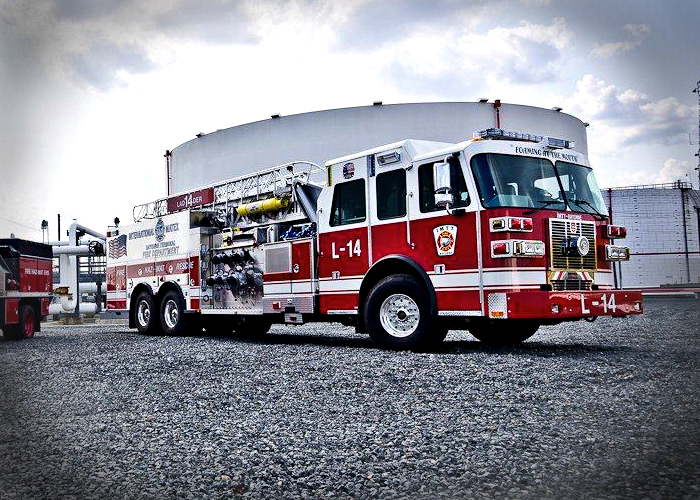 The Roll-Off style RatioResponse self-contained Foam Delivery System is mounted to a corrosion-free stainless steel tubular framed platform which is overlaid with same impervious metal deck plate. 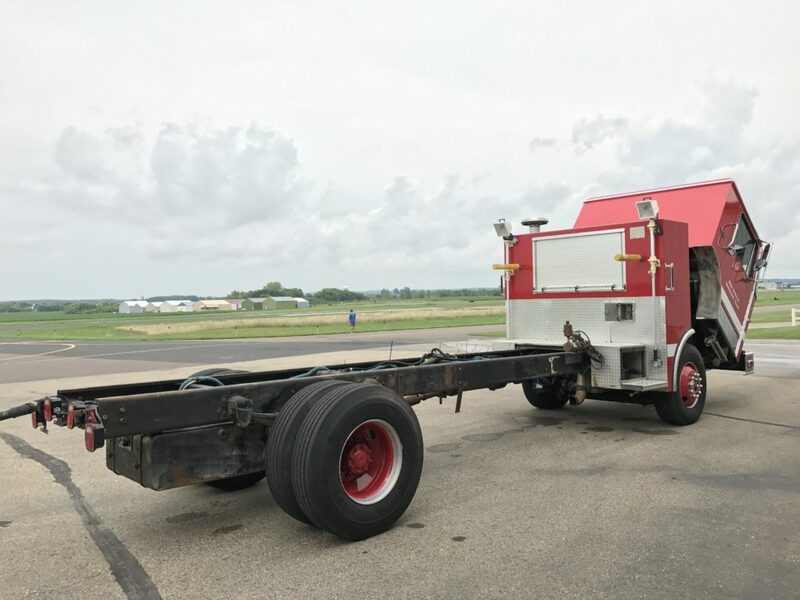 At the rear of the platform are two (2) 4” diameter stainless roller assemblies, of adequate width to provide floatation when unloaded onto soft surfaces. 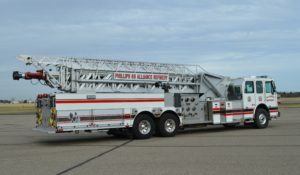 The Roll-Off Platform is designed to be transported using a Hook-Lift style vehicular carrier; when un-loaded, provides a safe “ground-level” work platform – no need for fall-protection. 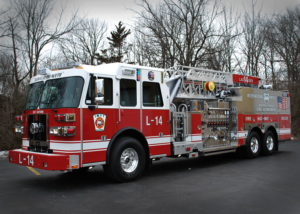 The walk and operator’s standing surfaces of the deck plate are provided with an NFPA-certified laser-cut aggressive non-slip puncture-grip pattern. 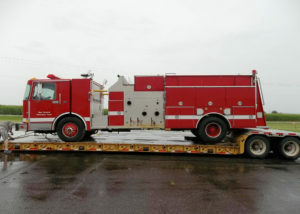 OPTIONAL accessories include: Suction Hose Reel(s), Gated Deluge Riser(s) with Monitor, Scene Lighting, Storage Locker, and Hose Beds. 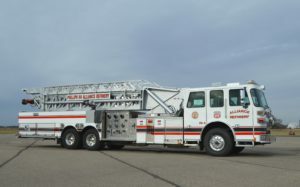 High capacity Hook-Lift Carriers and Roll-Off Platforms can be provided with Cradles for Tote storage and transport, 4000-GPM+ Monitor(s), and 500 pound + Dry Chemical Skid. 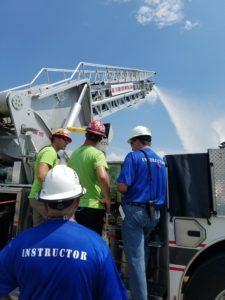 •	Remove 22-year old Balanced Pressure Industrial Foam System, REPLACE with New Flow-Based Electronically-Controlled Direct Injection Foam System. 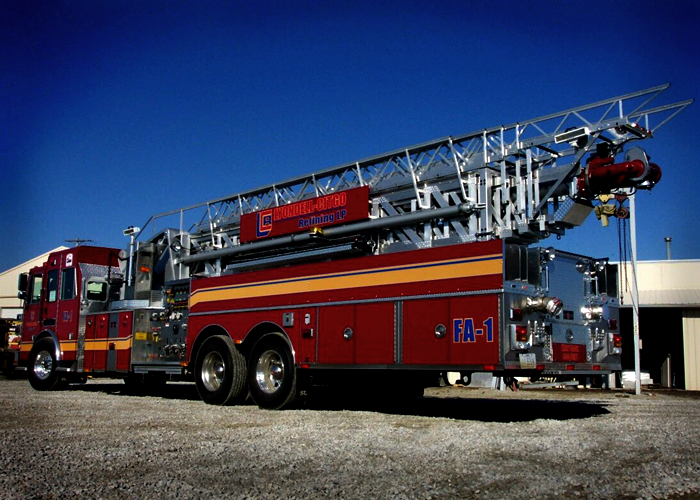 •	Remove Apparatus Body and Foam Tank, REPLACE Foam Tank, and add LED Emergency, DOT, and Scene Lighting. 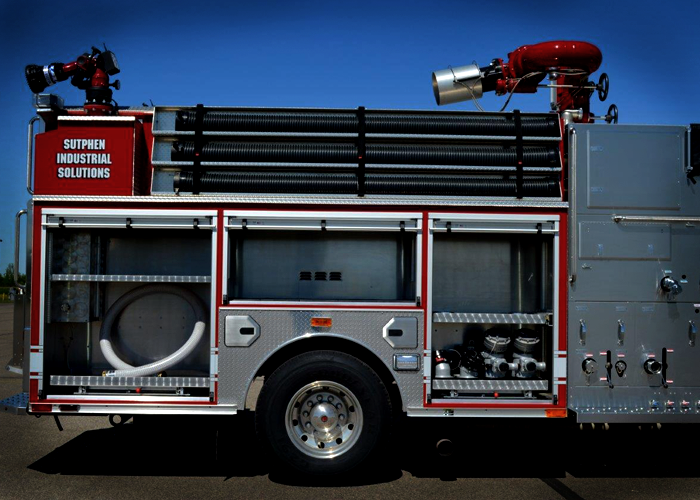 •	REFURBISH Body, New Aluminum Treadplate Runningboards, Tailboard, Corner and Rooftop Overlays. 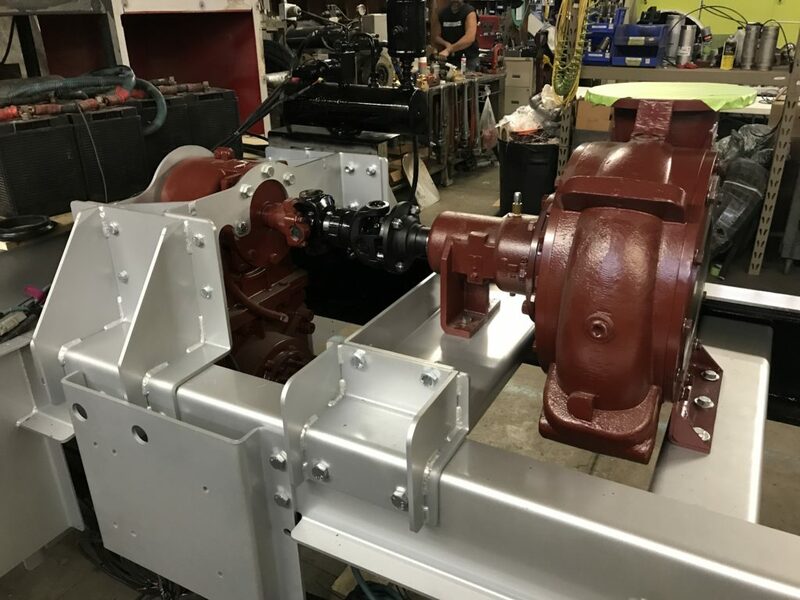 Sandblast Body Sub-Frame and Refinish. 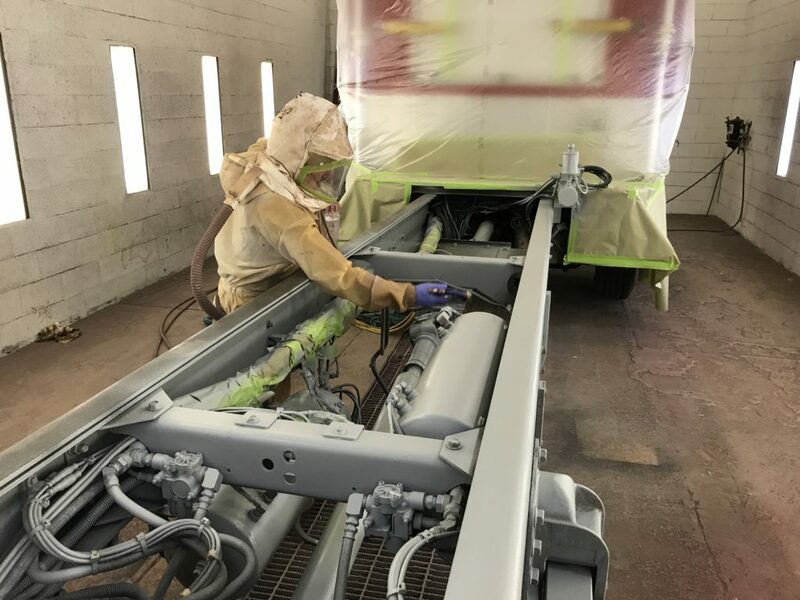 •	Repairs and Upgrades to Chassis: New Radiator, New Air Conditioning System, Refinish Chassis Frame, New LED Light Bar, New Aluminum Treadplate Gravelshield and Overlays. 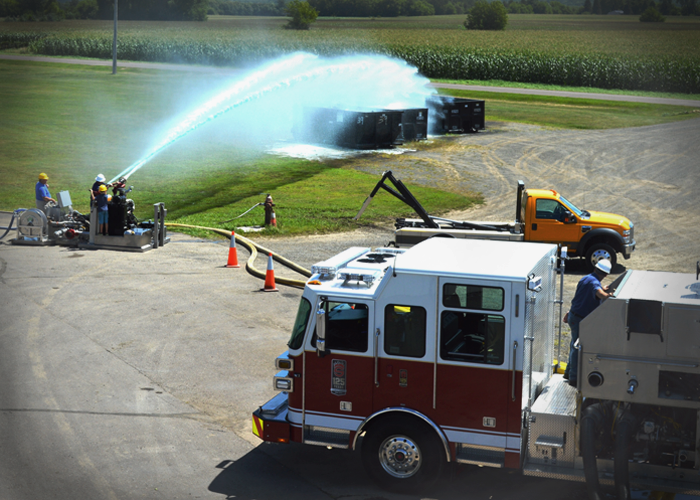 RatioResponse-AC is a self-contained stationary AC-motor powered, electronically-controlled Foam Delivery System, its designed purpose; to accurately proportion and directly inject Class-B liquid foam concentrate into single or multiple Water Works Infrastructure(s); in so doing, providing a downstream foam & water firefighting solution to feed single or multiple permanent facility standpipe(s), fire sprinklers, or monitor system(s). 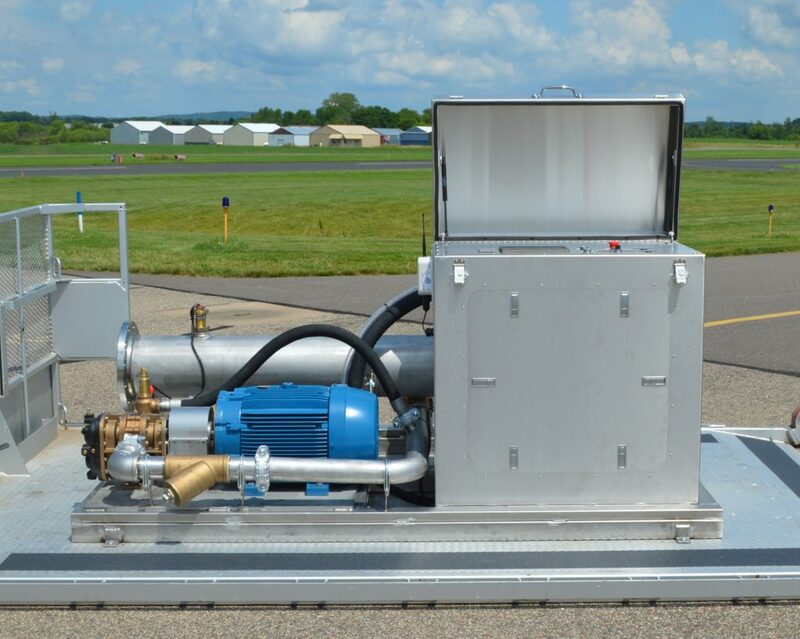 Powered by a 3-phase selectable-voltage AC Induction Electric Motor, RatioResponse-AC incorporates a “flow-based” foam concentrate proportioning system, with a positive displacement rotary-gear foam pump; available in 30, 60, 90, 120, 160, or 200 gallons per minute capacities, with pressure exceeding that of the supplied water infrastructure. 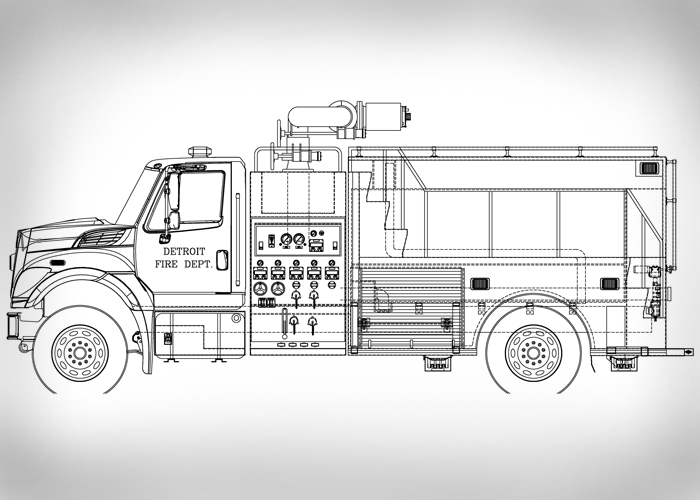 Operator selectable proportioning ratios of 0.1% to 10% are possible, in 0.1% increments, producing accuracies of -0.0% to +10%. 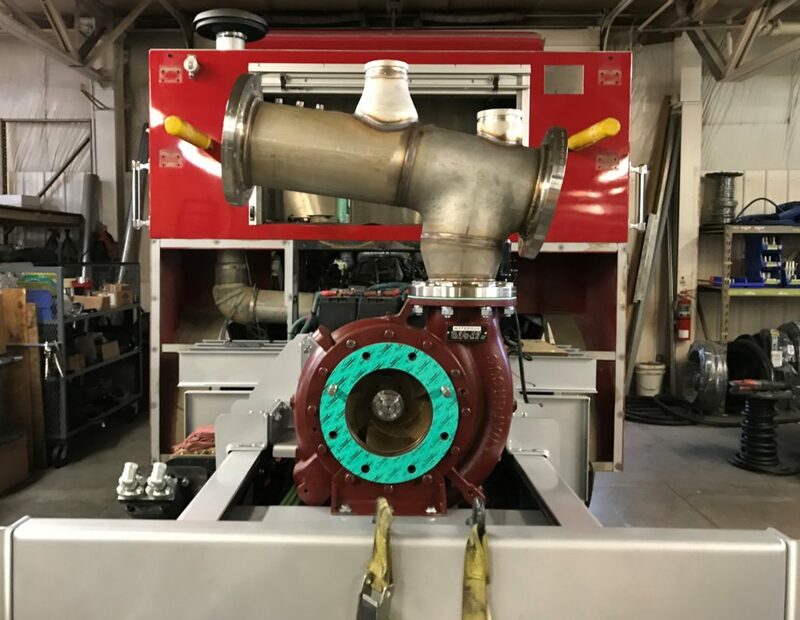 Flow-based technology also allows for low and variable infrastructure water pressures; accordingly, the supplied water pressure need only be enough to feed the downstream foam/water-fed devices, be it a Boost Pump, Distribution Manifold, Standpipes, Fixed Monitors, or Foam Chambers. RatioResponse-AC delivery systems, are available for direct injection into single or multiple infrastructure waterways; multiple, allowing for matching or variable proportioning ratios. 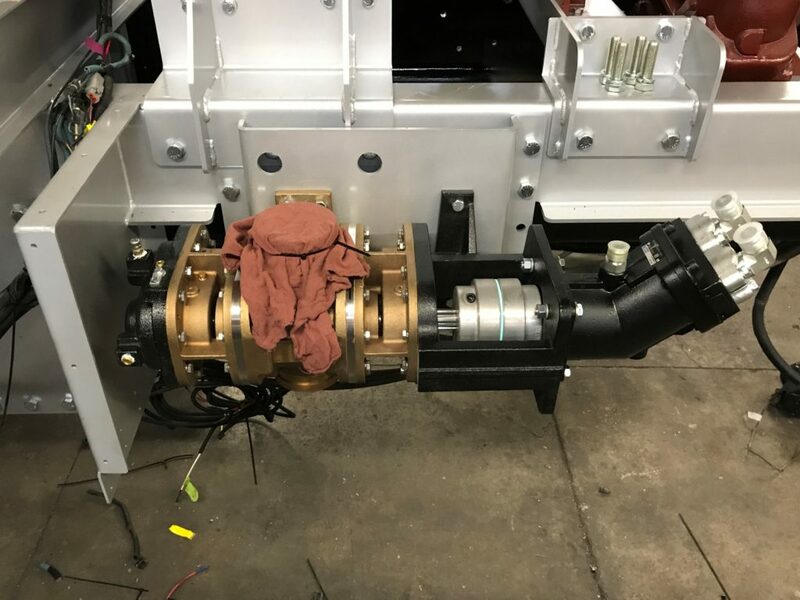 To accommodate upstream and downstream infrastructure water line, the RatioResponse-AC Inlet and Outlet are available ASA Flanged, Victaulic, or installation compatible fittings. 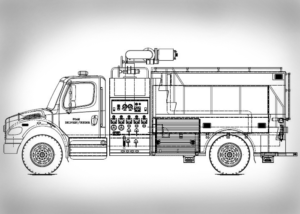 Optionally added Deluge Riser(s) enhance field operations, and provide for RatioResponse-AC exposure fire extinguishing capabilities. 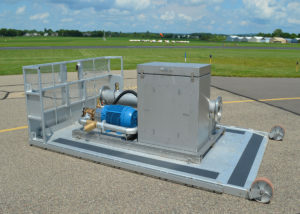 Gated Deluge Riser(s) can be sized to supply Monitors of up to 4000-GPM flow capacity. 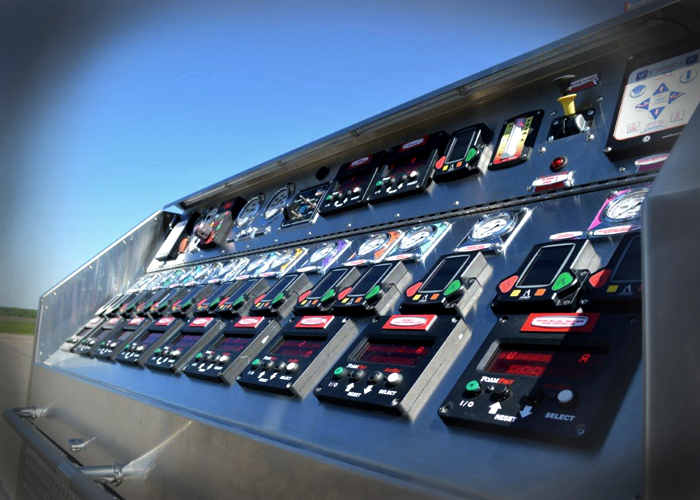 Two (2) HMI (human mechanical interface) Touch-Screen Electronic Control Displays are provided, each mounted on a stand-alone stainless steel pedestal style explosion-proof control console, located; one (1) on-board the RatioResponse-AC and one (1) for a Remote Location of up to 2000-yards away. 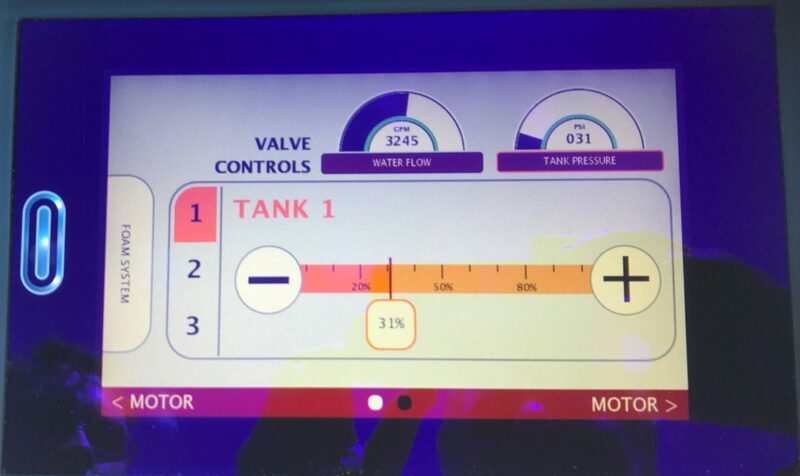 The HMI Controls allow ON/OFF control of the Proportioning System, Current Water Flow in GPM, Current Operator-Set Concentrate Ratio (as a percentage of water flow), and Total Amounts of Water & Concentrate Flowed (as a snap-shot + after operations). 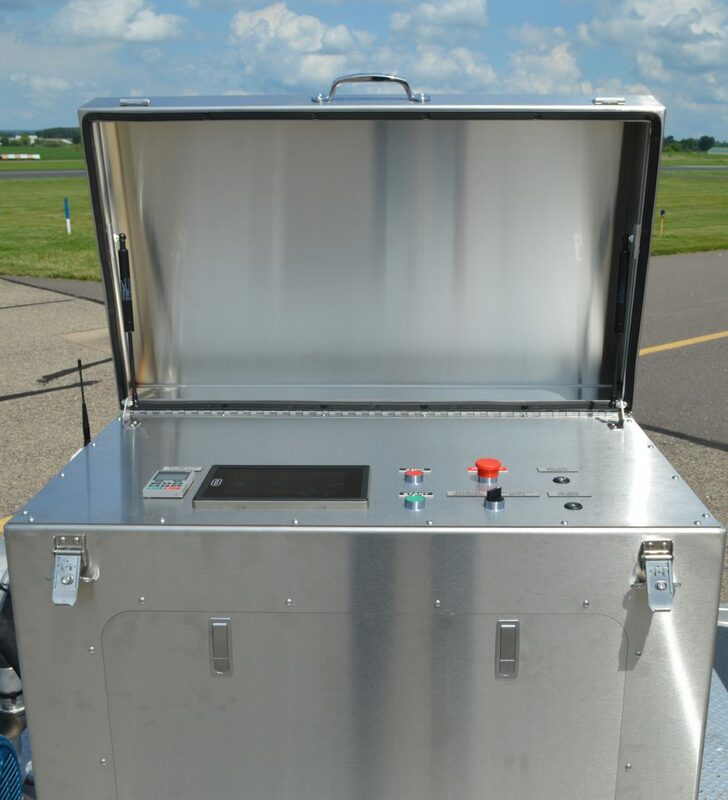 Optional Accessories include: Cradle Storage for one or multiple Totes, Fresh Water Flush of Foam Manifolds and Foam Pump, single or multiple Gated Concentrate Supply Lines, Low Concentrate Level Indicator on Remote Control Console, Automatic “Switch-Over” of Gated Concentrate Supply Lines (from exhausted Tote to stand-by Tote), and Auxiliary Gated Foam Pump Suction(s) for large capacity Foam Tender Hook-Up. 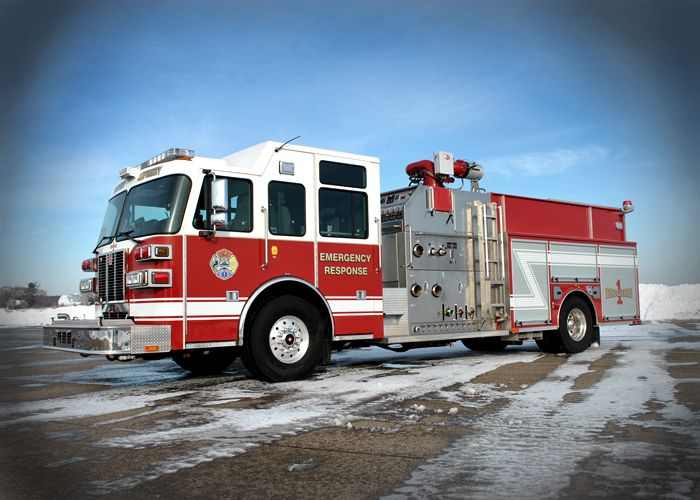 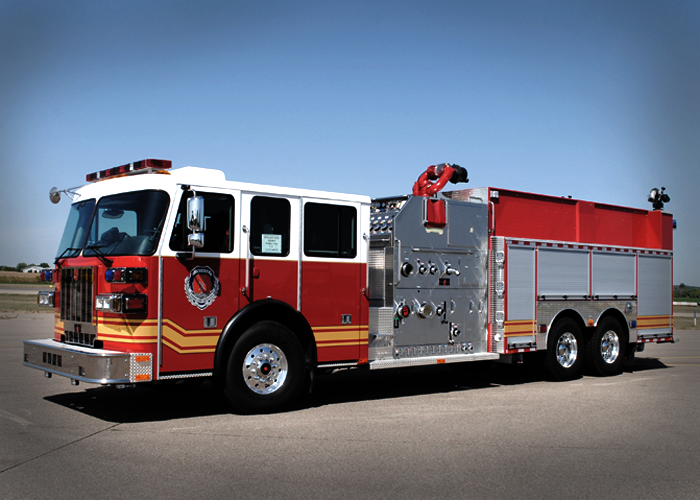 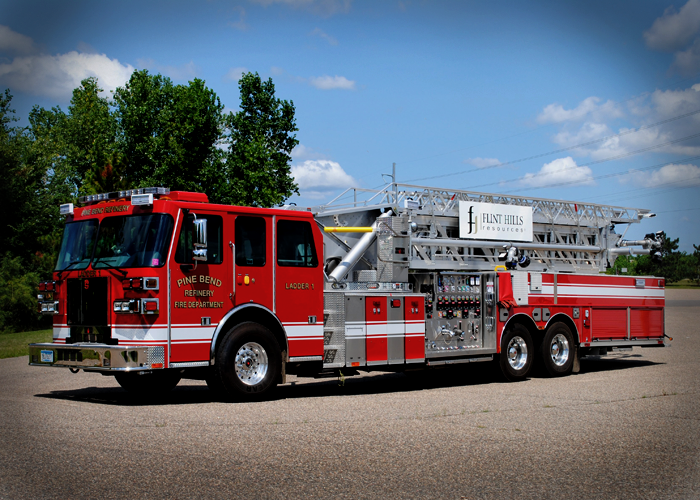 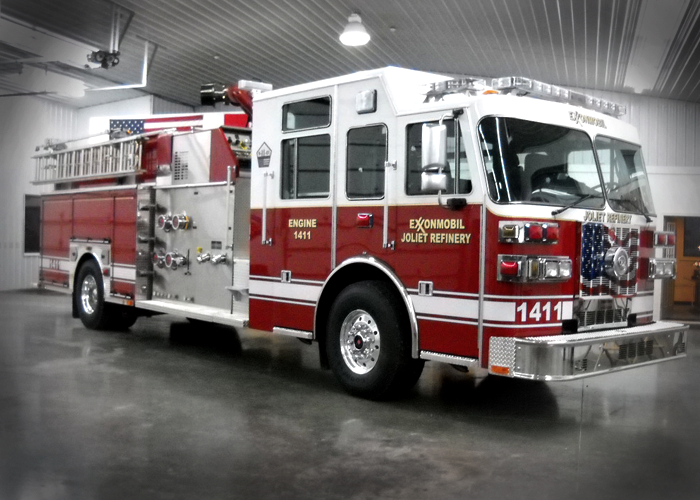 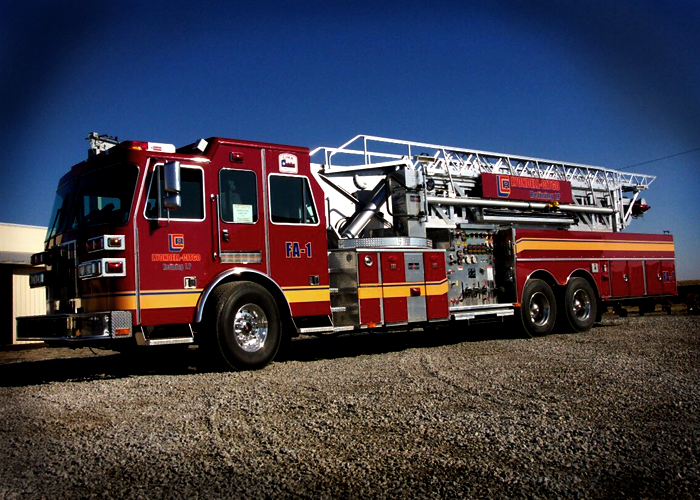 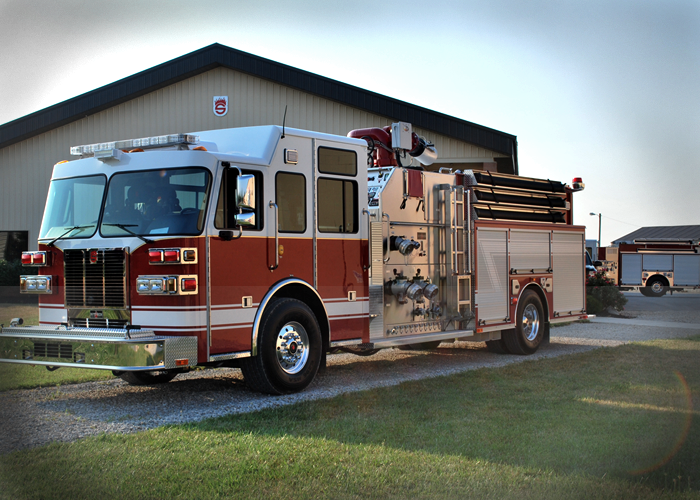 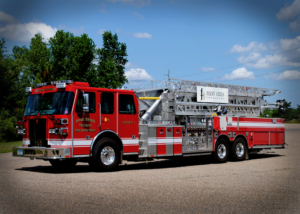 Industrial Fire Solutions is a collaboration of two reputable fire apparatus builders, Sutphen and CustomFIRE, both recognized for extremely reliable emergency response fire fighting equipment--while maintaining superior craftsmanship. 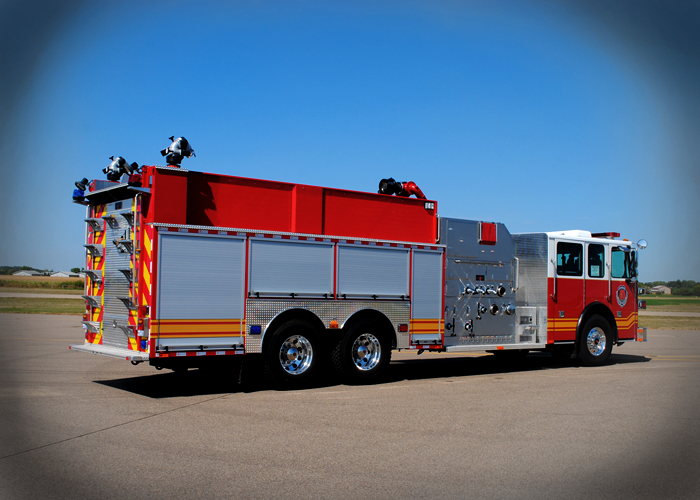 Our custom capabilities, along with extensive product lines, give you the most choices and our quality makes us the best choice for your needs. 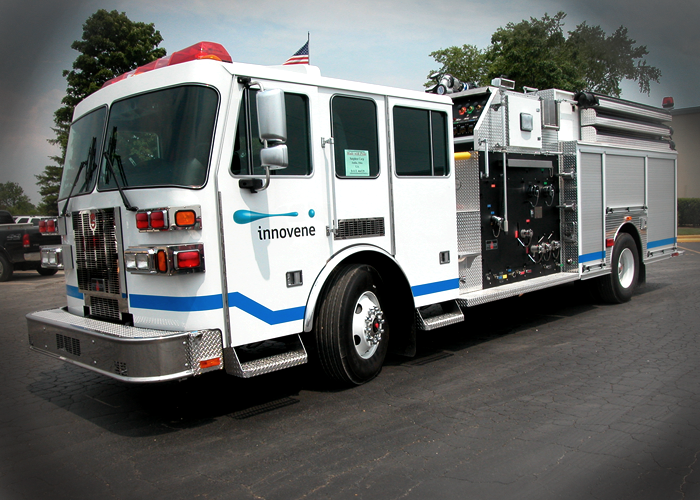 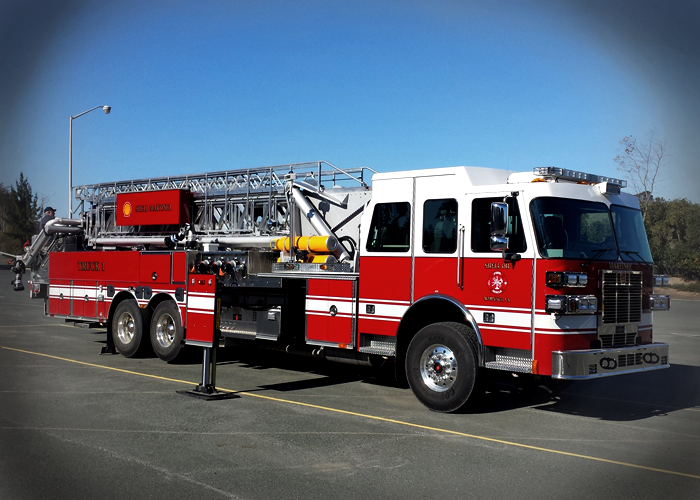 Industrial Fire Solutions specializes in understanding your response needs and incorporating the latest innovations. 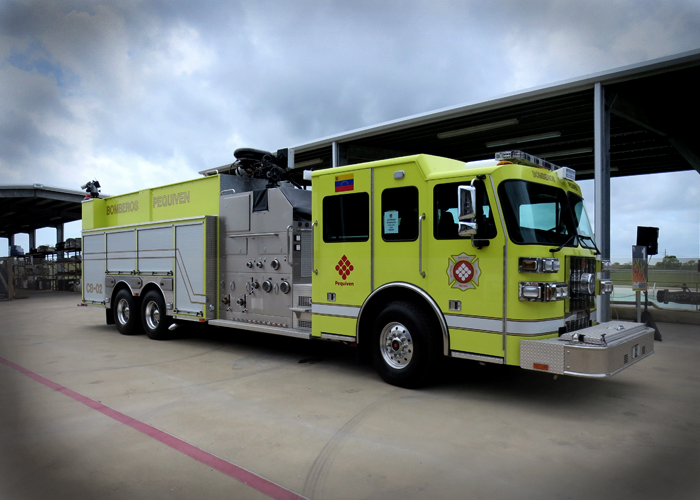 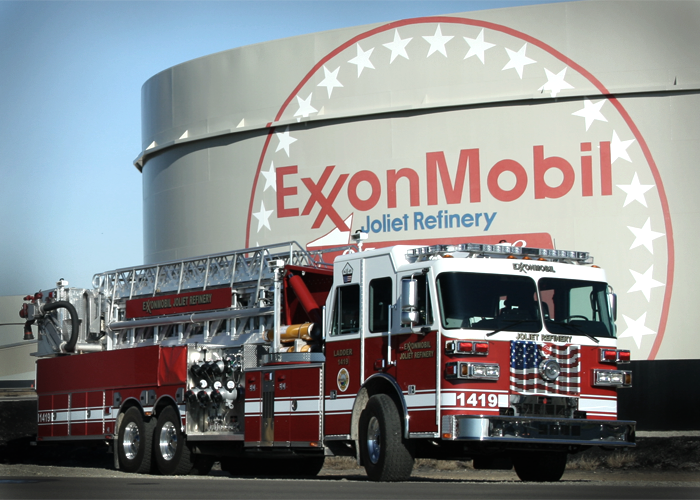 Our companies have always excelled in the creative design and custom manufacturing of new emergency response vehicles and have consistently grown into offering more elaborate and complex products while maintaining ease of use and reliability. 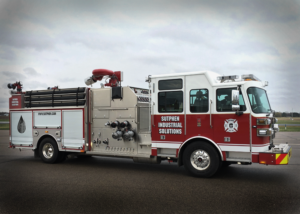 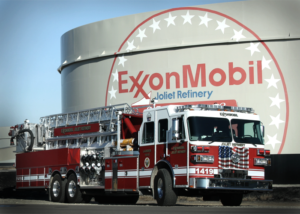 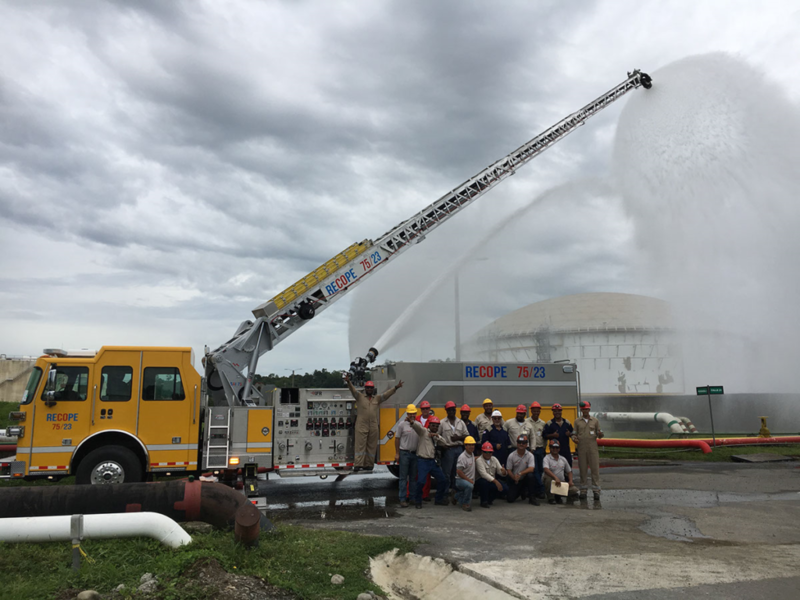 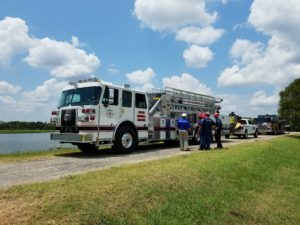 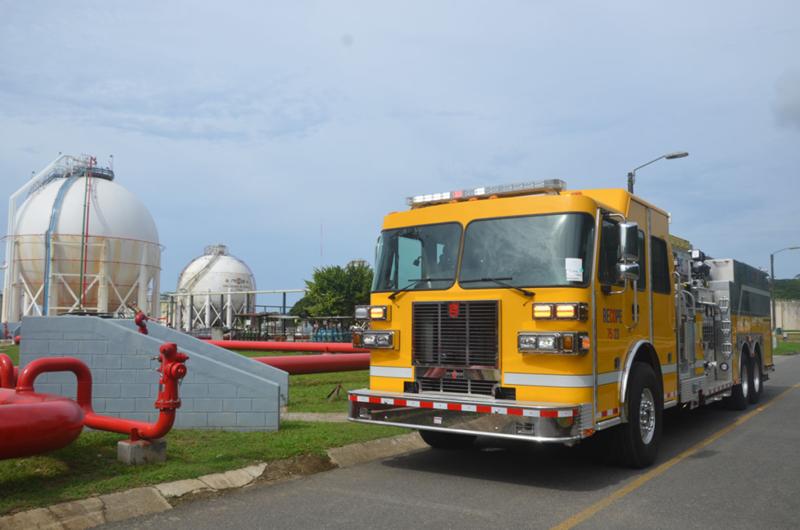 Between Sutphen and CustomFIRE's 160+ years of combined experience in the fire service industry, Industrial Fire Solutions has all of the necessary expertise and apparatus or equipment solutions to solve your emergency incident team’s needs. 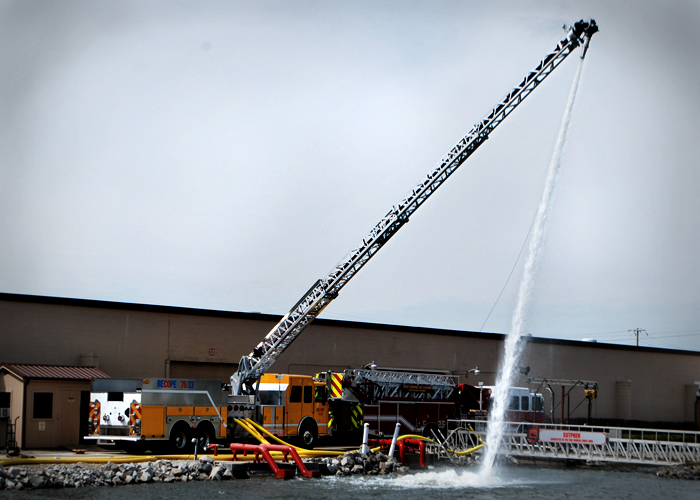 Our commitment to our customers as well as to suppliers has enhanced our growth and has gained us the trust of national and international firefighters. 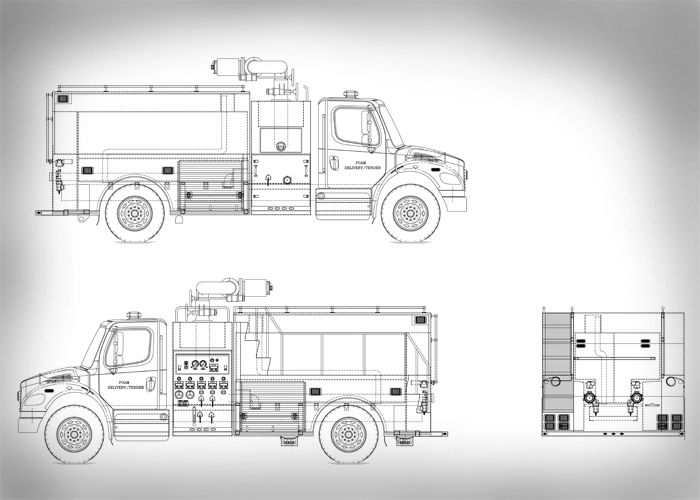 © 2016 Industrial Fire Solutions. All Rights Reserved. 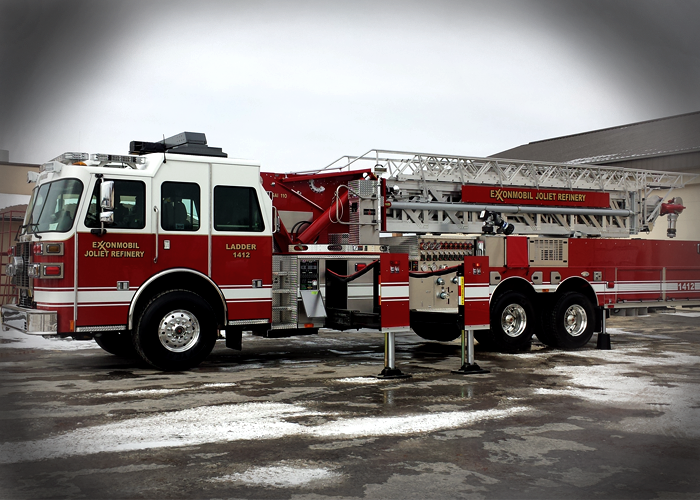 | Designed by Julia Barry Productions on Llorix One.